Abbot and Costello’s classic comedy sketch “Who’s on First?” is reality for the Milwaukee Brewers, as they went into the second day of Spring Training without at true first baseman. 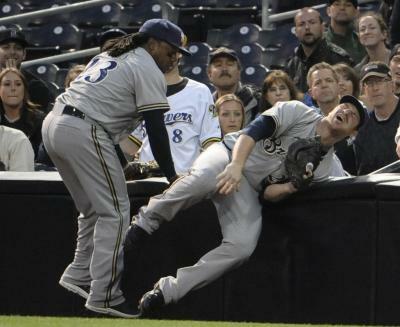 Mat Gamel was the Brewers first baseman last year on Opening Day, and was slated to be Prince Fielder’s replacement. All was good, until May 1 in San Diego when Gamel tore his ACL chasing down a foul ball. The injury sidelined Gamel for the rest of the season. Enter Cory Hart, the Brewer’s All-Star Right fielder, Hart had a solid season, replacing Gamel, but needed arthroscopic surgery in January of this year on his right knee, for a debridement of his knee-joint and to repair a meniscal tear. So, now that Gamel will be out for the 2013 campaign, and Hart out for at least the first month, the Brewers are left scrambling for a first baseman. It’s not that they don’t have options, but which is the best? 1. They could go shopping, and pick up a free-agent like Carlos Lee, Lyle Overbay or Jim Thome. 2. 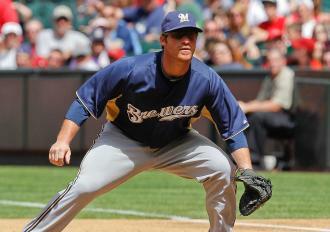 Martin Maldonado, the Brewers back up catcher. That way they keep his bat along with Johnathon Lucroy’s bat in the line up, which could be deadly. 4. Back up shortstop Alex Gonzalez and Taylor Green could split time. 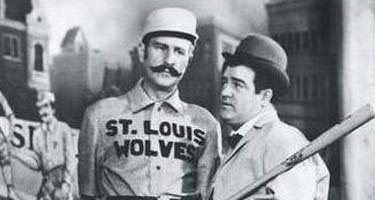 Things could be worse, the Brewers could be dealing with the rest of the Abbott and Costello bit “What’s on second, I don’t know is on third, I don’t care at short.” As it turns out Crew has that covered (knock on wood) with Weeks, Rameriez, and Segura respectively. Opening Day is April First. This entry was posted in Baseball, Milwaukee Brewers, MLB and tagged Abbott, Cory Hart, Costello, Lou Gerhig, Mat Gamel, Milwaukee Brewers, Spring Training. Bookmark the permalink. I think Taylor Green would be a good choice because he can hit for power from the left side of the plate.Put him at first base in spring training and let him prove himself in AZ.